Decadent night away from the kids for 2 & wine! Looking for a gift for visiting family or simply looking to get away from the kids for a week end? Clayton Hotel in the heart of Gunnesbury welcomes you and your partner for a weekend night with breakfast! 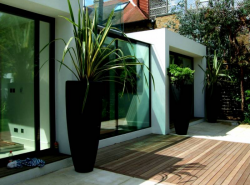 - a 1 hour garden MOT with Aunty Planty, a chartered horticulturist who will offer a unique garden mentoring and plant problem-solving service, at your elbow and in YOUR OWN garden. A detailed action plan will follow! Date night: Movie on a Sofa & meal at The Roebuck! Kid's Birthday sorted: Love Tennis & a cake! 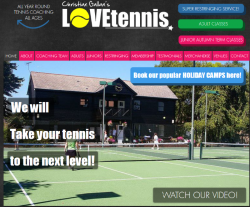 Love Tennis invites your kid + 5 children, aged 3-17, to a 60 minute private lesson at its Chiswick venue, off Burlington Lane. All can then dig into a scrumptious 9" Chocolate or sponge birthday cake from Jolly Artisan Bakery. That's one birthday party sorted! 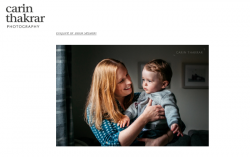 This package offers a 45 minutes Motherhood mini photography session with Carin Thakrar. This 30-45 minute long session for mothers & her child(ren) is the perfect way to get photos capturing the beauty, chaos and intimacy of motherhood. In likeness with her other sessions, the photos will be natural and genuine with a storytelling approach. 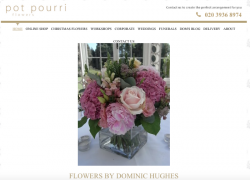 Access to a password protected online gallery where you can view all photos, beautifully edited digitally. 5 edited photos as high resolution jpgs5 high resolution photos included. Option to purchase more. - An extra £75 to spend at Specsavers: you could get sunglasses reglazed or another pair of reading glasses! - a 60 minutes massage at THE SPA MASSAGE on Turnham Green Terrace. Choose from a de-stress, a deep tissue, a sport and or a remedial massage. - enjoy a lovely presented 'zero waste' hamper from sustainable food venue THE SOURCE on Tunrham Green, including a stainless steel water bottle and stackable three-in-one lunchbox, then some honey, chocolate almonds and some bath salts! A treat for her or him: Skin Peel and 1H massage! - Sk:n will welcome you for a full skin consultation, a skin peel that lasts 20-30 minutes and a cleanser suited to your skin. Skin peels harness the power of naturally occurring acids and active ingredients to deeply exfoliate and brighten the skin. The treatment stimulates new cell growth and collagen production, helping to reveal fresher, clearer, brighter skin. A treat for her: Look Fab with shopping & Blowdry! 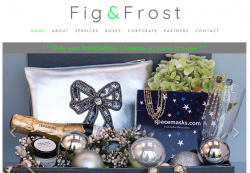 - spend 2 hours with a bespoke personal styling session from FIG & FROST, a leading consultancy service that will help you identify and purchase that very special item that you may be looking for without being sure where to start. Based on your individual styling needs, budget & lifestyle, you will be pampered, re-energised & thoroughly indulged during the session & will come away with some beautiful new clothes & bundles of confidence. A treat for her: a Facial & a Massage! 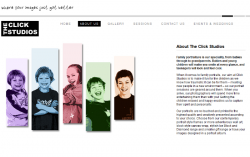 - one session during the holidays at one of Cygnets' workshops. 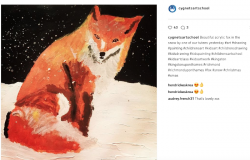 Cygnets is a children's art school based in Richmond and its focus is on the teaching of traditional skills such as drawing, painting & sculpture, combined with unique projects; experienced teachers, and professional quality materials. - Then head out to Dr Hugo Strange 's sweet shop: he invites the lucky winner & three guests to come and explore his exciting new sweet shop in Chiswick. You'll have the chance to taste a selection of weird and wonderful sweets from around the world, finishing up with waffles and milkshakes on the house! 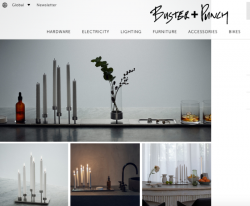 - a stylish candelabra, with a machined plate made out of solid brushed STEEL, complete with 6 tall candle holders. It will look wonderful on your table for the Holidays season or will make a great gift. The Family Christmas Present: Photoshoot at home! This package invites talented Photographer Kris Piotrowski to your own house or a (local) outdoor location of your choice for a 1 hour family photo session. 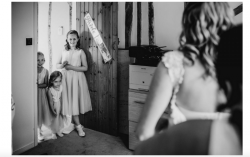 You will then access to an online gallery where you can download the photos for yourself; alternatively, you will have the option to purchase some of your favourite pictures through the gallery. This package includes 2 x 5 rides at CYCL HAUS Studio in Chiswick to be used at any time. Each set of rides normally retails for £90 and you could combine this voucher with the intro offer of unlimited classes for 10 days for £25, making a great intro to fitness! "Our passionate instructors create a unique and fun fitness experience, ensuring you enjoy yourself so much you don’t even realise how many calories you have burned." The perfect Christmas gift: Chose your treatments! We are offering a very special, limited edition, employees only Lego set. 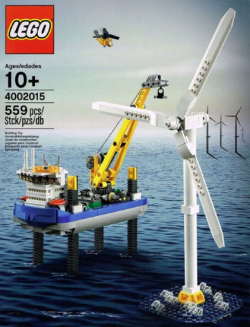 Reference is 4002015 and it comprises 559 pieces. It is listed on Ebay with BUY IT NOW prices ranging from £169 to £255. It will be a very exclusive Christmas Present for all Lego fans! Kid's Birthday sorted: Gamewagon Party for 12! 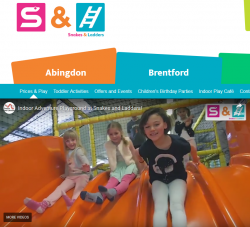 UK's Favourite Kids Video Gaming Party and a fab, fab Birthday celebration! 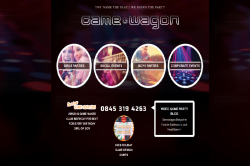 Gamewagon will organise a party for your child and up to 11 friends, from Monday to Thursday. Please note that up to 3 children can be added for £15 each. A lazy afternoon for two: Le Vacherin lunch & Gin! 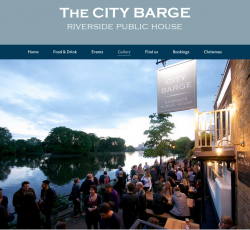 - And a tour for 2 people of the famous Sipsmith distillery in Chiswick, including a tutored tasting of the range. The New Year resolution: Feel your best! This package offers you 2-month health coaching programme with Caroline Lamont of Great In Great Out. Want to feel your best, but don’t know where to start? Caroline will work on identifying clear goals and will guide you to create an individualised and sustainable plan to ensure you create long lasting healthy habits. Specsaver invites you to its Chiswick High Road store for a free eye test and £200 to spend on a range of eyewear. That's enough for 2 pairs of premium designer glasses, including BOSS Orange, Kylie Minogue eyewear, Karl Lagerfield, Pierre Cardin, Osiris, Roxy, Tommy Hilfiger and many more. You could also chose to reglaze any glasses, including sunglasses! - 3 sessions at Hypoxi Chiswick. HYPOXI® is a targeted method of body shaping. It was developed at the end of the 90's by Dr. Norbert Egger in Salzburg and is now successfully in use in over 50 countries worldwide. The HYPOXI-Method has a unique effect on typical female – but also male – problem areas: persistent fat pads on the stomach, hip, buttocks and thighs, cellulite and weak connective tissue. IT really works! Date night: A meal for 2 & a Bottle of Chardonnay! 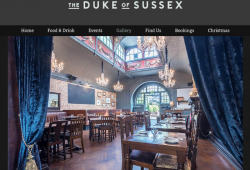 - Enjoy a pre-Christmas night out with your special one at The Duke of Sussex, located on the South Parade in Chiswick. 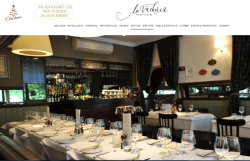 This package includes a two course meal (starter and main or main and desert) for 2 excluding drinks. London Irish Official Ball signed by full squad!! 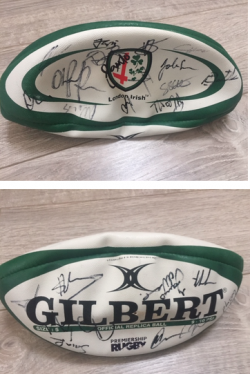 Another top top Christmas Present for those Rugby fans: we are offering an Official Replica Ball GILBERT in Size 5 of the LONDON IRISH, signed by the full squad. Unsigned item sells for approx £30 and you can see below that signed items can fetch a lot, lot more. Can be combined with nice diplay case for as little as £25. Approximate value of item: £100? 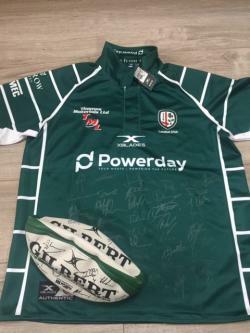 XL London Irish 17/18 Jersey signed by full squad! This fabulous package will make that special someone a wonderful Christmas present without a doubt! We are offering a Brand new with Tag LONDON IRISH Jersey in size XL 2017/18 SIGNED BY ALL THE SQUAD!!!! Retails for £30 UNSIGNED. Can be framed in gorgeous case (as can be seen below from Amazon for £50).